Filipinos are known to be caring and hardworking especially when it comes to caregiving jobs as well as household servicing. With good work attitude, Filipinos are top priorities of other countries in these kinds of jobs. 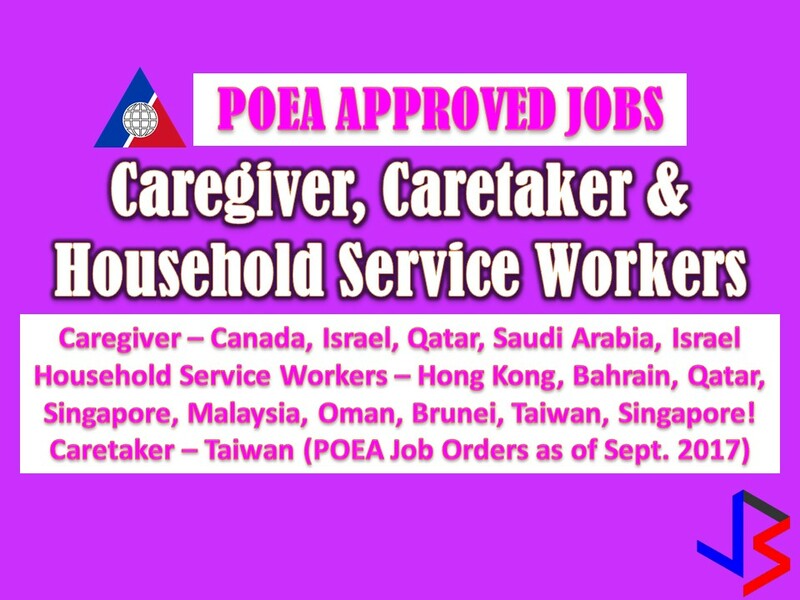 This September, the Philippine Overseas Employment Administration (POEA) has released a new batch of jobs orders for caregiving and caretaking jobs as well as jobs for those who want to be domestic helpers. Job listed below are taken from POEA website for general purpose only and to make job searching easy for the public. We are not affiliated with any of the following recruitment agencies attached per job and all contract you entered is at your own risk and account.